If we had to choose one oil that is the most definitely more often chosen for hair care, it would be coconut oil. Women love it as more than just an ingredient for their food. In the unrefined version, coconut oil is a natural hair conditioner with proven effectiveness. What is that you don’t know about it? This is one of these oils, which are not obtained from seeds or nuts. Coconut oil is mechanically pressed from the coconut pulp, i.e. palm fruits. Usually coconut oil is available in two versions. Beautifully aromatic unrefined is great for cosmetic use, while the pure and devoid of scent refined oil is suitable, e.g. for frying. Properties of coconut oil should be well known to all the women due to being the most popular natural cosmetic. In the room temperature it has the form of white, soft butter, so it looks more like a hair mask. It is called natural hair conditioner, because it is great for hair care. “calms” scalp and normalises its functions. Natural coconut oil is great for more than hair. It is particularly liked by straight, healthy and smooth hair, which it provides with protection. 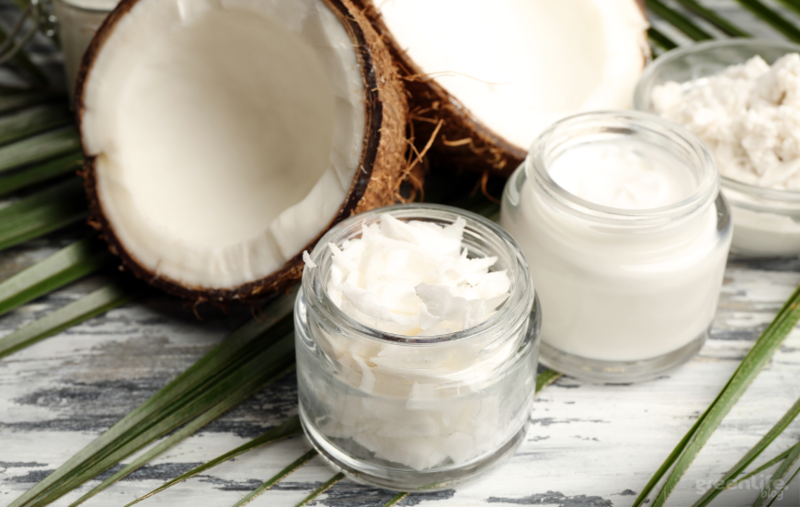 Frequently, coconut oil is used also as a supplement for many cosmetic for face and body skin. Coconut oil is NOT suitable for damaged hair! There is a common believe that coconut oil regenerates damaged hair. This is mistaken believe! You must remember that, whether oil matches given hair type or not is determined by the essential fatty acids content in the oil. Coconut oil consists of mostly saturated fatty acids, what makes it penetrating oil, perfect for low porosity hair. Damaged hair can suffer from frizz after its application. It is definitely better for hair care of healthier hair, as a protective, gloss providing and calming scalp irritations cosmetic.